As Christmas time draws nearer and we don our over-the-top festive jumpers, party gear, and of course, paper crowns out of crackers, it is not just us getting dressed up for the holidays. Many homeowners across the UK have been decorating their homes with a variety of festive delights, from banners to baubles, from star lights to streamers. Whether you favour an evergreen or a pine, it doesn’t feel as if the festivities can truly begin until you’ve bought your tree and your home is covered in green needles. 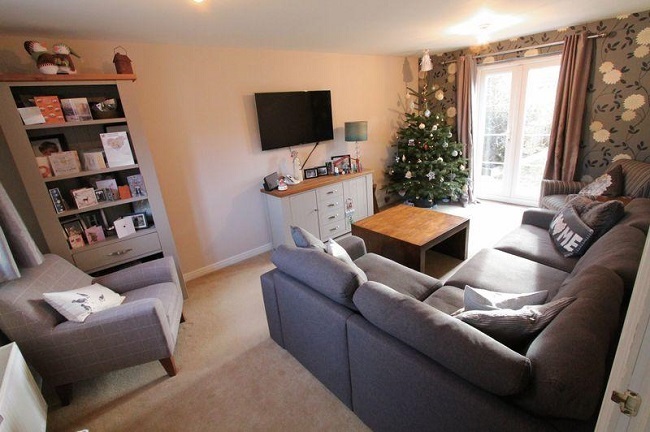 This year, we’ve been very happy to have notice that the Christmas tree is making an appearance in some of the recently added properties to our website – it has certainly brought us some festive cheer! 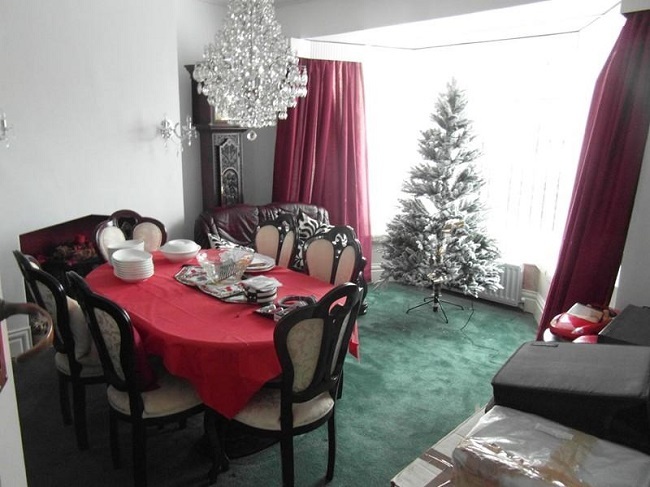 We particularly love the tinsel and lights on the tree in this house in Brickhill. Plus, if you look under the tree, it appears that Father Christmas has come early! What is also great about those cold Christmassy evenings is being able to snuggle up on the sofa next to a warm fire. 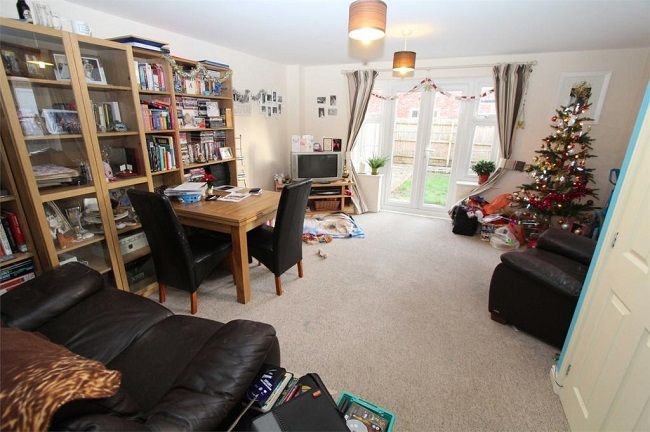 This household in Kempston have even added stockings and holly leaves to theirs! 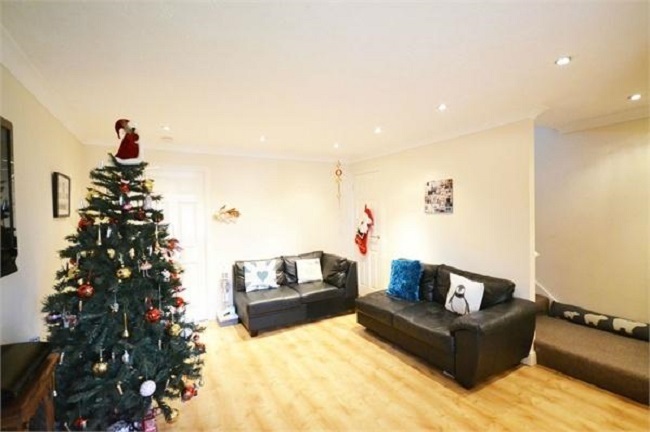 Both of these properties have beautifully decorated trees – we particularly love the festive coloured baubles! 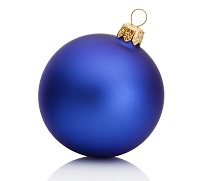 Another thing which has to be considered when purchasing your tree is its size and shape. 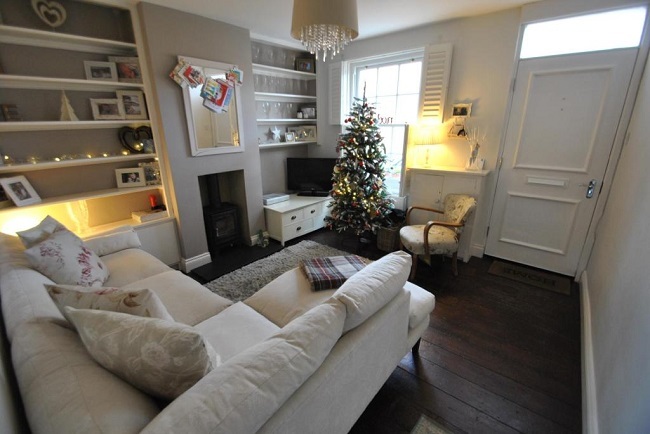 We love that this household have gone all out and got a tree which almost touches the ceiling! 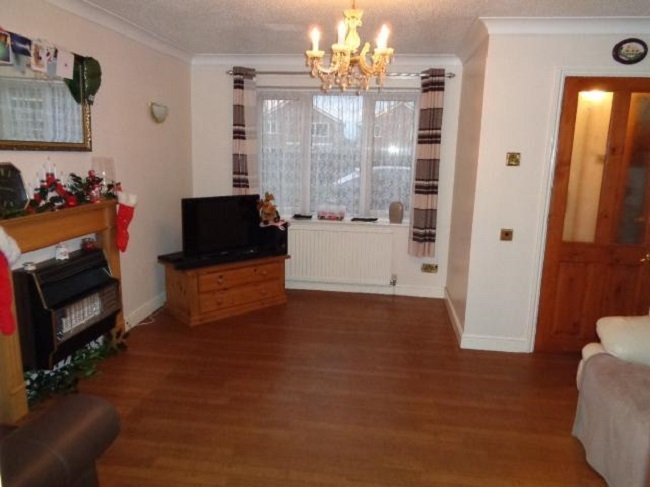 Positioning of the tree is also key – in this property, it is right by the window, so that anyone who walks past is in for a festive surprise!